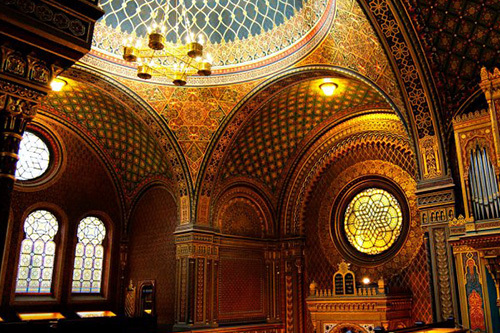 The Jewish Town gradually developed in the course of more than eight centuries when Jewish people were present in the Old Town in Prague. Original medieval streets disappeared forever during the Ghetto´s demolition at the end of the 19th century; however, the most significant sights were saved for the future. 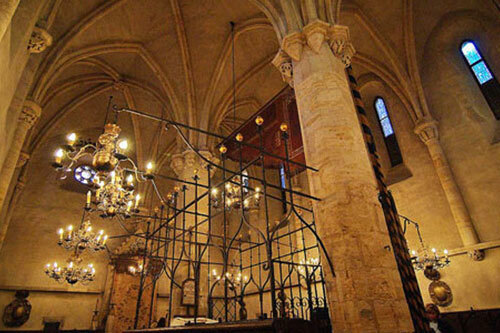 Nowadays they form the largest Jewish quarter-museum in Europe, a quarter that miraculously survived even the WW2. 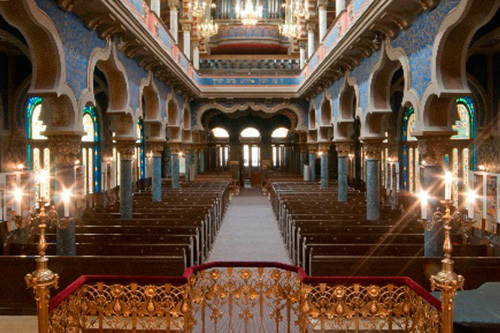 The Old New Synagogue represents the most remarkable synagogue of the former ghetto and services still take place there. Its Gothic-Renaissance interior remained practically intact – a fact that gives the visitor unparalleled feeling of numinosity and peculiarity. 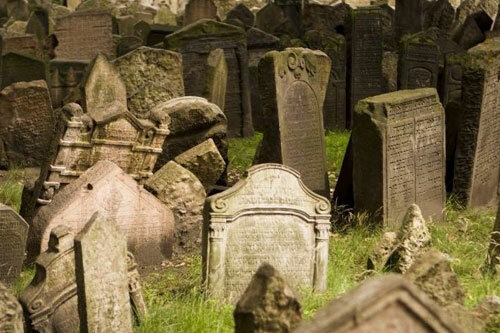 When visiting the former ghetto, going to see the Old Jewish Cemetery is a must. 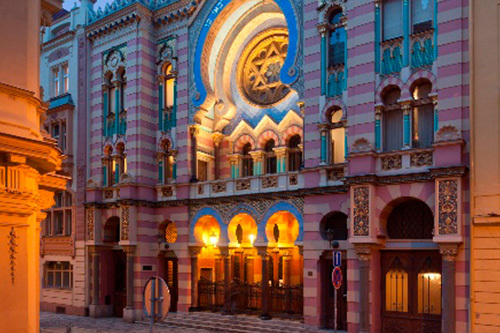 It is famous for its picturesque and meaningful symbols on tombstones.There are four other synagogues in this quarter, which nowadays host the incredibly rich collections of the Jewish Museum. 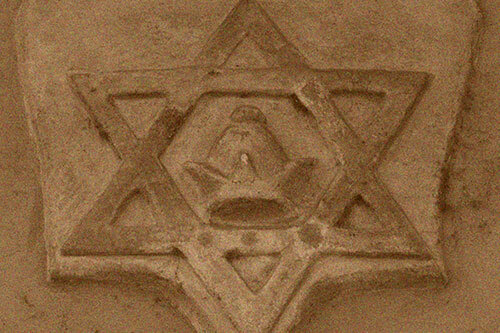 Its items give a comprehensive account of different aspects of Judaism (everyday life, holidays, history of Jewish people in our country, sacral objects). 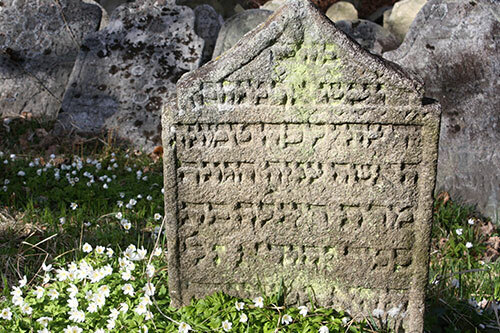 The guide´s commentaries can focus on presentation of Jewish religion and culture in general, or concentrate on a more detailed presentation of thousand years of Jewish people´s presence in the Czech Lands and in Moravia. The second option is meant for those visitors, who are more familiar with the above issue. You can mention which approach you prefer in your order form. 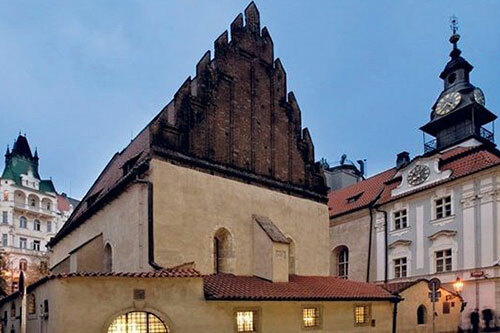 All the guides leading this tour for Prague Arts Tour are licensed Prague Jewish Museum guides. Maisel synagogue (interior and exhibitions) – Pinkas synagogue (dedicated do Shoah victims, drawings of the children who perished in the concentration camps, interior) – Old Jewish Cemetery – The Ceremonial Hall (interior and exhibitions) – Klaus synagogue (interior and exhibitions) – Old Town hall (only from the outside) – The statue of Moses created by sculptor Bílek (outside) – Spanish synagogue (place of service, interior and exhibitions) – Old New Synagogue (place of service, visiting the interior of this synagogue is part of the main tour) – Statue of Franz Kafka created by sculptor Róna.